Forget the boring plain wheat spaghetti. 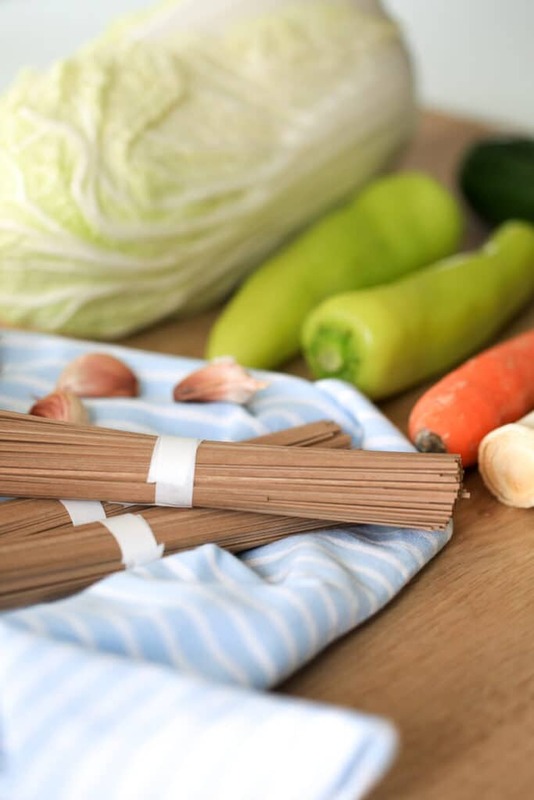 These noodles have a slightly nutty flavor and are best combined with veggies or in a soup, but not with tomato sauce. 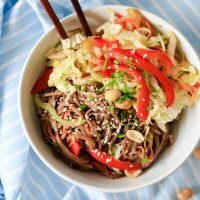 This dish may not be your typical Japanese dish, but it is a fun and delicious way to include healthier ingredients into our meals. The noodles we used came conveniently packed in single portions of 70g so if you are cooking for two, just take two portions and voilá, you’re done measuring. 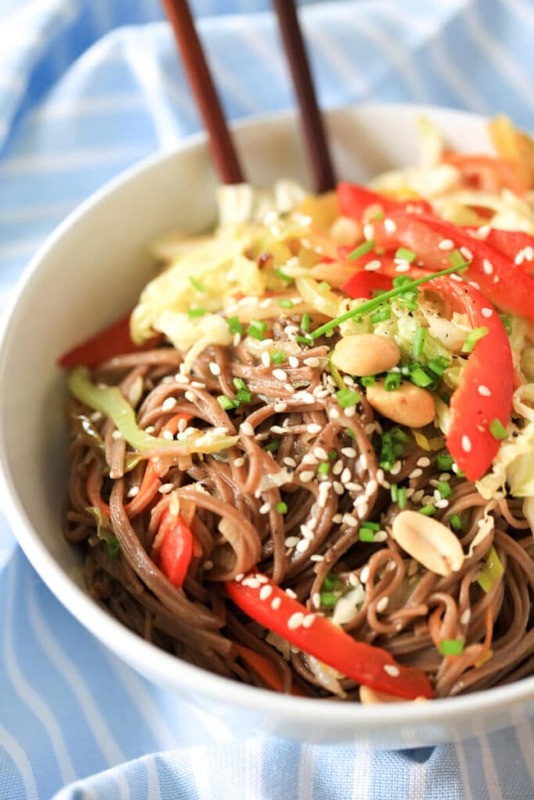 The slightly nutty flavour of the soba noodles is combined with bell peppers and cabbage in this easy vegetarian dish. Done in 15 minutes! Wash and peel your veggies, then slice and chop them. In a pot bring water to a boil and toss in the noodles. Cook according to package instructions (about 3 minutes) and then drain and wash.
Heat up a spoon of oil in a wok or large pan. When hot, add onions and quickly stir it until translucent. Then add chopped garlic, leeks and carrot and stir-fry for a minute or two, until the veggies tenderize. 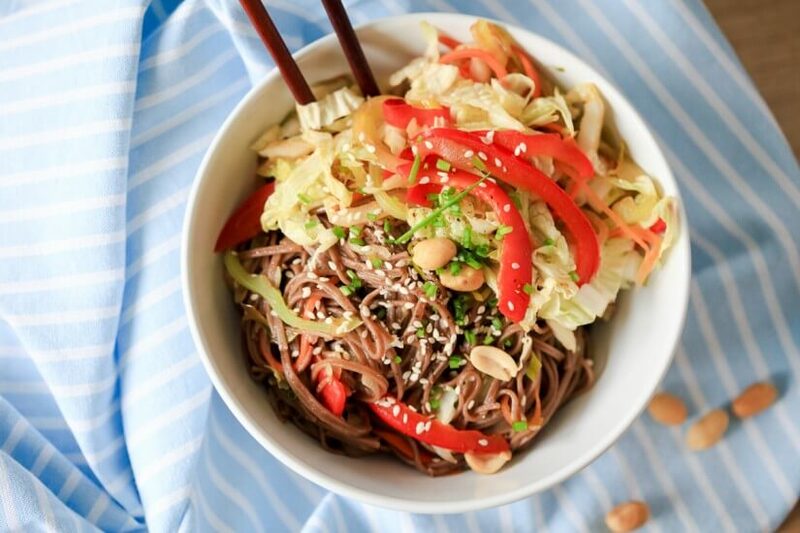 Add your bell peppers, stir-fry them, then add the cabbage, sesame seeds and peanuts. 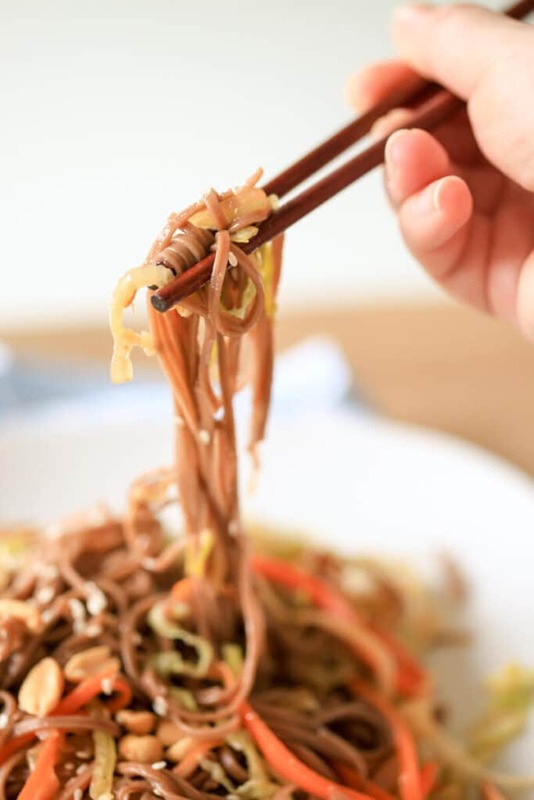 Finally, add your noodles and apply soy sauce and seasoning to taste, stir everything until it's mixed well and serve hot.